Once upon a time, an anthology was calling for assassin stories. Ooo, assassins. Sounds exciting, right? I knew I wanted to enter, but I wanted something different. For one, I decided my protagonist was going to be a woman. Since this was a fantasy anthology as well, I decided I wanted to create my own world. I knew I wanted the world to be one with royalty, knights, dragons, and more. I searched a Fantasy Place Name Generator and thought about what I wanted to write. The assassin's name was easy: Umbria. The place became Foxwick. And through that anthology's request for submissions, a world was born filled with characters and places I'm still getting to know. Now here is an excerpt from "Lady Death," the story that started a series. You can find the complete story in A to Z Flashes of Foxwick as well as Women of Foxwick. “Yes, the false healer won’t be practicing his witchcraft anymore.” She slowed long enough to produce the thick gold ring Thaddeus enjoyed wearing, his finger attached. Umbria ducked and his sword banged into a marble column. 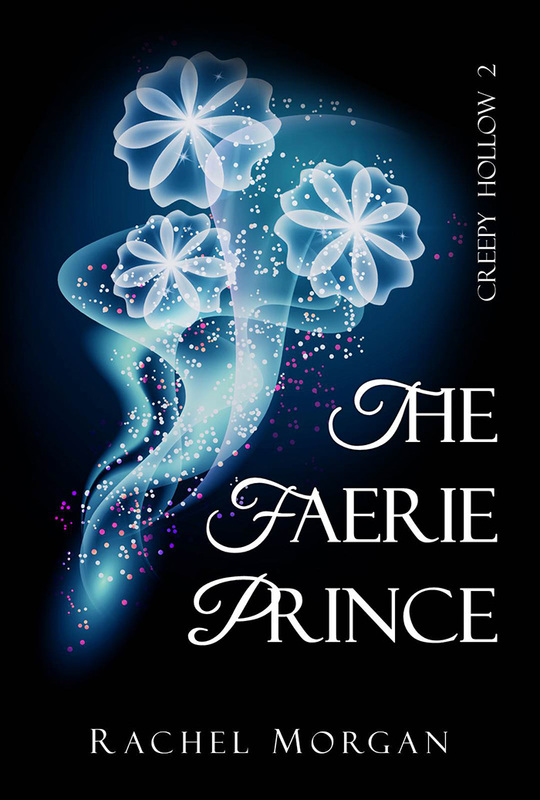 And we have the cover reveal of Rachel Morgan's The Faerie Prince! Description: Guardian trainee Violet Fairdale is just weeks away from one of the most important occasions of her life: graduation. After messing up big time by bringing a human into the fae realm, Vi needs to step up her game and forget about Nate if she hopes to graduate as the top guardian of her year. Everything would be fine if she wasn’t forced to partner with Ryn, her ex-friend, ex-enemy, current ‘sort of friend’. They might be trying to patch up their relationship, but does she really want to spend a week undercover with him for their final assignment? On top of that, the possibly-insane Unseelie Prince is still on the loose, free to ‘collect’ as many specially talented faeries as he can find—and Vi is still at the top of his list. Add in faerie queens, enchanted storms, complicated not-just-friends feelings, and a murder within the Guild itself, and graduation is about to become the least of Vi’s problems. 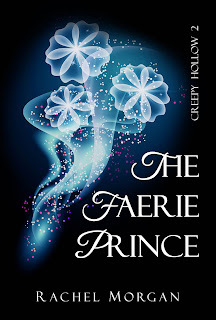 Add THE FAERIE PRINCE to your to-read list on Goodreads. To connect with the author, visit Rachel Morgan's blog. I adore the cover- actually all of her covers have been awesome!. thanks for posting. Rachel had THE MOST awesome covers! Gorgeous cover! and what a great marketing strategy to tie in your awesome Foxwick series with the A to Z challenge! Thank you so much for sharing my cover! And I didn't know your whole Foxwick world was born out of a call for submissions to an anthology. Cool! Interesting. Well-written and compelling, even though it's not really the kind of fiction I enjoy. Thanks for sharing! Kill Death - that's a tall order. Like the name Foxwick. I'll see during the month where you go and what people and creatures will emerge as you round out your story. How fun to think the world of Foxwick came from anthology call for submissions! How kind of you to share Rachel's cover reveal. May you have much fun and fulfilment with the alphabet challenge. I love the name Foxwick! Definitely drew me in. It was awesome to find out what inspired your writing. Love Rachel's cover. And thanks for posting more on the start of your story. Really great cover and hmmm, not sure if Death can be taken down, but sure worth a try. Assassinate Death? That's quite a mission. I love learning about beginnings. Thanks for sharing the story of how Foxwick began! And that cover is beautiful! Got error 503, when I post the last comment. Love the concept -- assassinate death, can't wait to read more! Love Rachel's cover! Congrats to Rachel on such awesome cover! I like hearing about how Foxwick got started. I liked the story snippet too. I love the idea of assassinating death. That last line of your excerpt, Cherie, is AMAZING! Such power in so few words. Thanks for sharing. It gave me goose bumps. Looking forward to reading more of your posts this month and finding out more about Foxwick. Plus, I love Rachel's new cover. Wow! That is such a pretty book cover! Great story and cool cover :) Happy A-Z. It's amazing how things get started, isn't it? Great excerpt! No idea how she's going to pull that one off though ha!